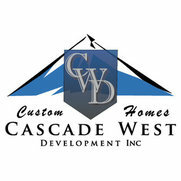 Cascade West Development, Inc. is the leading custom home builder in the Portland Metro and Greater Vancouver Areas. 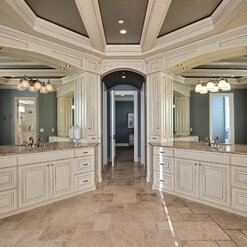 We love building dream homes, but we build for individual needs, that means we build YOUR dream home - not ours. From high-quality affordable homes in a subdivision to the extravagant palatial estates on private acreage - we do it all. Every step of the way, we're here for you. We have built 1,200+ custom homes over the course of the last 25yrs, so we've learned the right way to do business. Let us prove it to you. I met with Cascade West 10 years ago and knew when I was ready to build they were the company I wanted to use. They were amazing to work with and helped me customize my house exactly as I had dreamed for. Quality of work is exceptional. Thank you so much! Willing to work with you on any issues that come up. My advice is to continue servicing your customers as though you are a family company and don't let growth get in the way of that. Thanks so much for the review Jeff, we will definitely take your words to heart. Cascade West Development's timeless and open concept designs are gorgeous, they showcase fantastic imagery of their installations, and have great taste in appliances (we’re a little biased!). 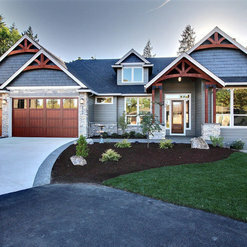 If you are looking for a builder in SW WA, choose Cascade West! We are so happy with our home and want to thank Cascade West for everything they did to make our home construction a wonderful experience. From beginning to end, everyone worked closely with us to produce the results we wanted. 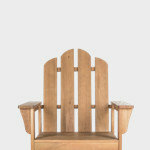 We are also pleased with the quality of workmanship. Having lived in our home for about five years, we have not experienced any major defects, for wish we are thankful. We would love to build another house with Cascade West. They build good, sturdy homes, and we recommend them to everyone. I received a gift-card as compensation for my honest review of this company. Good or bad the above statement is mine, written by me, in my words and published with my permission. Thanks so much for the review Evelyn! You're truly one of our favorite customers! 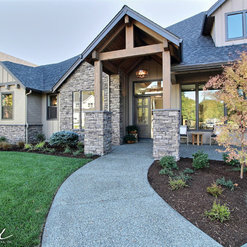 The moment we step into a Cascade West home during the Parade of Homes, 2015, we were hooked. The quality, craftsmanship and design of the house made us feel at home. I am Realtor and it so happened my very next client were looking to build. Didn't take long for them to make the decision to build with Cascade West. After watching the process 2nd hand through them, my husband and I knew it was a done deal for us. Our process was seamless from the first meeting to final close. Everyone we encountered from sales, design and the many vendors involved in the process, we always felt we were in capable hands. Here we are at our 1 year check up. Again, being a Realtor I have seen what a year of "settling" can do to a home. Our 1 year check up list was minimal, zero nails pops and zero wall cracks . 100% perfect, no, wish painters were more critical of straight lines. That being said complements from everyone who visits our home, we feel are completely genuine. They love it and we can honestly say we love our forever home. Thank you Cascade West! We appreciate YOU John and Samm Howard " *I received a gift-card as compensation for my honest review of this company. Good or bad the above statement is mine, written by me, in my words and published with my permission. " Thanks a ton for posting your reviews Samm! Much appreciated! In Oct. 2014 we moved into our >3800 sq. foot home by Cascade West. Ron was our salesman & Konrad was our Project Manager. We have mostly great feedback about our experience; our home is very well-built and we feel we received a good value for our money. For balance I would like to expand on 10 positives, 10 regrets and the one biggest surprise 3 years later. Positives: 1.Ron saved us the expense of architecture fees by having us find a floor plan online that most-closely matched what we designed on Excel. He was able to modify it to be the exact floor plan we wanted, with some improvements. 2.Ron & Konrad were both easy to work with. 3.The quality of our house construction is excellent. The windows are very large, and the carpentry & finish work were perfect. Some Cascade West standard features we love are the tankless hot water heater (because we never run out of hot water,) the stair lights and the fact that there is zero wood trim near our shower – only tile. 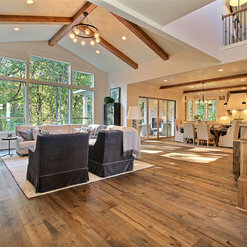 4.Ron recommended industrial grade luxury vinyl tile (hard-wood look-alike) flooring called Coretec and it has held up better than the other 2 real hardwood floors we had. 5.Cascade West built our house very fast, we only needed a rental house for 7 months. 6.The finish carpenter installed a rustic sliding barn door that our family made. 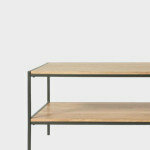 7.The finish carpenter installed extra supports in our kitchen ceiling so we could hang an industrial pot rack we made. 8.The shower in our master bath has no glass door to clean, yet doesn't leak. 9.We have 4 kids' lofts where the electrician wired outlets up there for the kids to charge their phones. 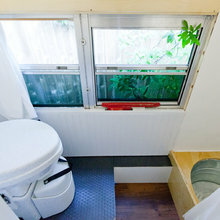 He also put a light switch that can be reached from loft and from the floor. 10.Ron designed a more private entrance to our master bedroom. Regrets: 1. 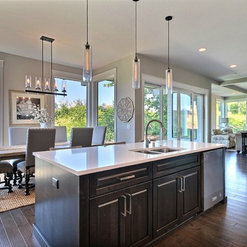 Passing on can lighting in the family room, master bedroom and kitchen garden window. 2. 3 out of 7 ceiling fan lights do not give off enough light in the room (1 is completely broken, has already been repaired and is broken again.) 3. Regular kitchen drawers are not very deep. (Less deep than our last house.) 4. 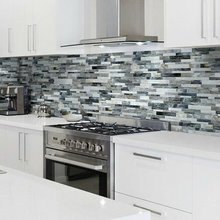 White kitchen cabinets look good on day 1, but are challenging to keep looking good with kids. The paint has chipped in about 15 areas. We paid extra for paint instead of stain because paint requires more labor steps to be durable. They are not as durable as I thought they would be. 5. We wish we had not let Ron talk us out of 12 foot ceilings. We have 10' on main and 2nd floors, and 12 foot ceilings in the office. Our office has the best feel and our neighbors have 12 foot ceilings throughout and we like the look better. 6. I wish we would have tinted the driveway so it doesn't show all tire marks. 7. Office windows do not open, none of them. Wish we had known before installation. 8. 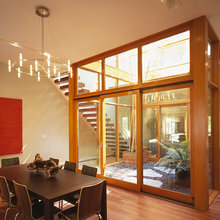 Crank out windows in the kitchen interfere with our pathway around the pool. 9. We bought a corner lot and our house had to be set back 20' back from the road, which is an extra 10' than all non-corner lots. This made our pool smaller. Wish we had known before buying lot. 10. 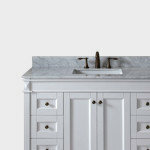 I wish we would have chosen a single cavity farm sink and not a divided non-farm sink. The wood near the sink usually gets ~wet so it may as well be the cast iron and not wood. BIGGEST SURPRISE We are surprisedd at how much our carpet in 5 out of 7 rooms has bubbled up and has large raised ridges that we've tripped over. I researched this & one cause of this is when installers don’t use a power stretcher. I contacted Konrad to ask if Cascade West could send the installers back to fix them and he said they went out of business. I asked if Cascade West could cover the repair anyways and he said no and that "sometimes you get a lemon." We did not budget to have 5 rooms of carpet re-stretched after living here for only 2 years. You may want to make sure you have in writing that the carpet installers will use a power stretcher for installation. Our neighbors had a home built by Cascade West and they also had carpet bubbling and paid $1500 out of pocket to have it fixed. Update: Cascade West paid for half of the carpet re-stretching with my husband and I moving all of the furniture out and back in each room. The re-stretching worked very well and the carpet now looks good. Hi Tracy, thanks for leaving a review and sharing your experience - we really appreciate how thorough and detailed this is :) We'll be sure to let Ron and Konrad know so they can read over it too. We're sorry to see that you did have some regrets. If you're interested we may have the name of another great electrician if you'd like to add those recessed can lights in the great room (or a painter if you guys need some cabinetry touch-ups OR someone to inspect your concrete and see if it can be cleaned and/or resealed) - heck we probably have the right person for just about any small addition or maintenance issue that isn't covered under either our one or ten year warranties. We're very sorry to hear about your biggest surprise - carpeting - because that's a bit of a shocker. When we spoke about this carpet in April of 2017 we attempted to contact the sub-contractors that installed the product (because we appreciate accountability as much as anyone) and they had unfortunately gone out of business. Had the issue arisen prior to the expiration of the one year warranty this would have been fixed immediately at no cost to you, but because your home was outside of that one year warranty - sending someone out to diagnose and fix the issue would incur cost. We may have a solution for you if you could, at your earliest convenience, please contact us at our offices. Please contact Adrienne (Queen of Warranty) 360-887-2226 . 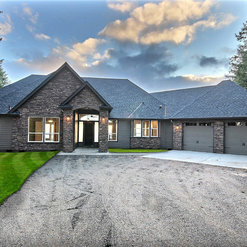 We are thrilled with our custom Cascade West home!! We were immediately impressed with Jason and how genuine and eager he was to help us draft and build our dream home. He was excellent, helping us with both budget and design so that we got the most bang for our buck while also getting everything we really wanted and ensuring unique touches and lots of character. Going through the process of having your home built is certainly neither quick nor is it stress-free - but throughout the entire process, the folks at Cascade West always made sure we were happy and that we were getting exactly what we wanted. And beyond Cascade West, the sub-contractors they enlist are fantastic!! They were super helpful in making suggestions along the way to improve small things that made a big difference in the overall effect, without added cost. I've told my husband we're never moving again but if he's ever able to convince me, and we decide to build, we would absolutely use Cascade West again. They have earned their outstanding reputation! *I received a gift-card as compensation for my honest review of this company. Good or bad the above statement is mine, written by me, in my words and published with my permission. We will always enjoy looking at these photos :) thanks for posting your review! We chose to work with Cascade West because Ron was awesome and we hit it off immediately. He helped us pick out a plan, walked us through the process and we couldn't be happier with our new home! Some of the differences between Cascade West and other builders is their personal approach. We loved the family aspect of their company and appreciated being involved in every aspect of the build. 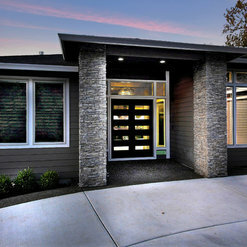 We would highly recommend Cascade West for your custom home! *I received a gift-card as compensation for my honest review of this company. Good or bad the above statement is mine, written by me, in my words and published with my permission. We searched for a builder over a two year period. We found Cascade West included many features not offered by other builders. Also, the quality was very good. We liked the large windows and the trim package. Thanks for the review :) We're always interested in hearing what our homeowners have to say! we found Cascade development while considering purchasing a new home in Vancouver, having met with several other developers we knew the path they suggested we take. We were hesitant to spend for a house that the builder felt was best for us, with their design and their materials. Once meeting Cascade we found that they offered an "Open Process" we worked together for our wants and needs and the options for appliances, finishes, layout etc were all on the table. We ended up with exactly what we wanted and could not be happier. *I received a gift-card as compensation for my honest review of this company. Good or bad the above statement is mine, written by me, in my words and published with my permission. I chose to work with Cascade West because Ron helped us find a piece of property that fit OUR needs. The difference between Cascade West and other builders is the ethics they have. 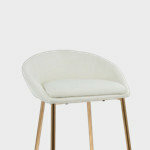 Aside from that, what stood out was the quality for the money. If I could go back in time I would tell myself; Stick with them, you will be happy. The house turned out beautiful!! I didn’t choose to build with Cascade West. They came with my lot, but I did notice how honest they were compared to other builders. They were very nice people and the subs were great to work with. As in any building project there were a few issues, but with discussion they were taken care of with satisfaction. I would build with Cascade West again." *I received a gift-card as compensation for my honest review of this company. Good or bad the above statement is mine, written by me, in my words and published with my permission. 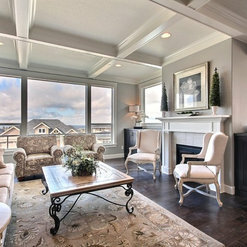 Cascade West Development answered a question: Great look...what SW colors did you use, please?